When we migrate, we choose to do so for different reasons: some move in search of better opportunities, others may leave to seek protection from conflict and persecution. Sometimes the reasons to migrate are mixed. Similarly, some of us may feel the desire or the need to return home. This can be triggered by the wish to reunite with family, by changed conditions in the host country or country of origin, or by the lack of legal status. This means that, in many circumstances, returning home can be as challenging as leaving in the first place. Through its Assisted Voluntary Return and Reintegration (AVRR) programmes, IOM, the UN Migration Agency, provides administrative, logistical and financial support to migrants in need who choose to return home, but lack the means to do so. This includes individualized counselling with IOM staff or partners, and is often complemented by reintegration support to help migrants rebuild their lives within their home communities. Below are just a handful of stories of those who made the choice to return for a fresh start back home. From Spain to Senegal, from Greece to Iraq, Sudan to Ethiopia, these stories show their determination and courage. Peshang tells us about his decision to return from Greece, and how he is trying to overcome reintegration challenges in his country of origin. When abroad, Seny missed Senegal’s culture, lifestyle and spirit of solidarity. As the family provider, he decided to return home to support his family. With two children and limited job opportunities, it was hard for Emebet and her family to make both ends meet in Sudan. Together, they decided to return to Ethiopia. The family has now a stable source of income and the children are back to school. 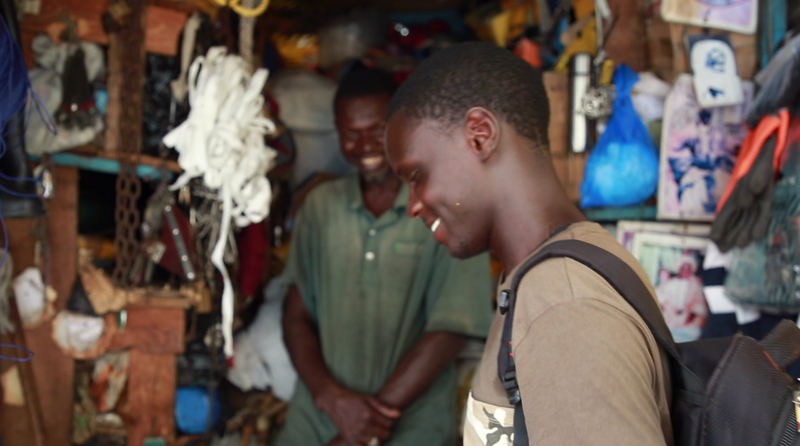 Back from Spain, Amedy is now working hard to achieve his dream: launching his own seaport services company in Senegal. The SPEAK (Strengthening and Promoting Engagement on AVRR) Project is a pilot initiative launched by IOM to offer an insight on voluntary return and reintegration from the perspective of the migrants themselves. It allows migrants to speak about their personal experiences, achievements, and challenges encountered throughout their journeys.